With the change in the season brings a welcome dose of fresh, balmy air. And with it, an urge to switch up our look—on our bodies, in our homes, and in our lives. What are we getting at, people? Our ultimate Want/Need editors’ picks for summer! 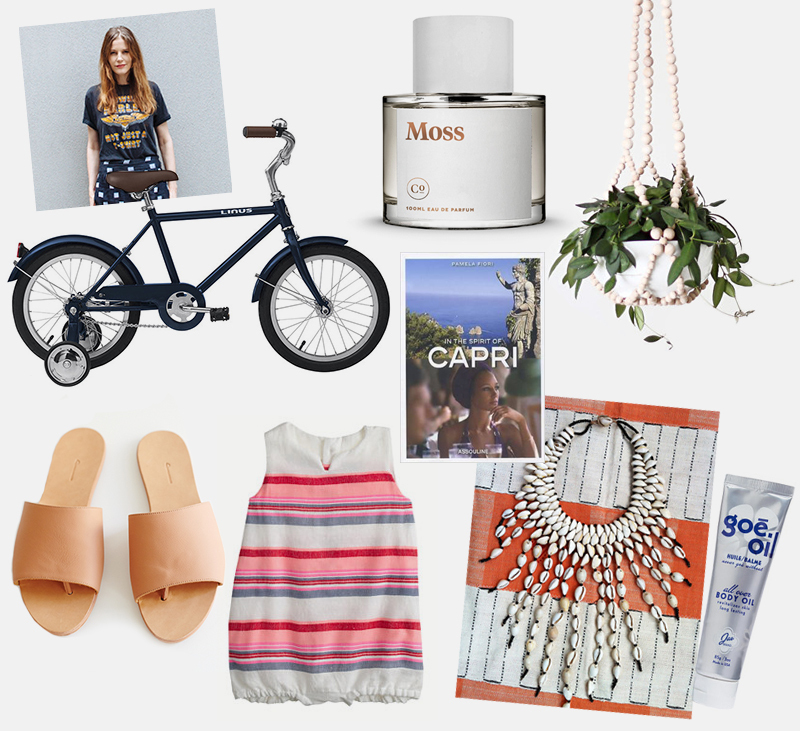 From breezy bikes and a new shade of lipstick to Shibori prints and poolside vacays, here’s what we’d love to have and to hold over the next three months. Linus Lil Roadster, $295, linusbike.com. Moss Eau De Parfum, $108, commoditygoods.com. Modern Plant Hanger, $97, Etsy. In The Spirit Of Capri, $30.95, Amazon. Slide Sandal, $198, The Palantines. Lucy One-Piece, $70, J.Crew Baby. Jao Goē Oil, $44, Amazon. Cowry Shell Necklace, $88, Proud Mary. Prince Bikini By Marysia, $278, Marysia. Ria Menorca Avarcas de Menorca, $74, Need Supply. The Podolls Pullover Shibori Blouse, $204, The Podolls. Francis Ford Coppola Winery Pools & Cabines, $180 day pass, Francis Ford Coppola Winery. Paige Lauren Classic Cuffed Tee With Pocket, $26, Paige Lauren. Ilia Wild Child Lipstick, $26, Storq. Surya Gray Wool Pouf Cube Ottoman, $358.80, AllModern.